PORTLAND – To hear Brian Cusworth talk about his commitment to play basketball, you wonder if he can do anything else. Cusworth was a pre-med major at Harvard and graduated with a degree in biology. But five years after graduation, he is still planting his 7-foot, 255-pound body underneath the basket, ready for a rebound. 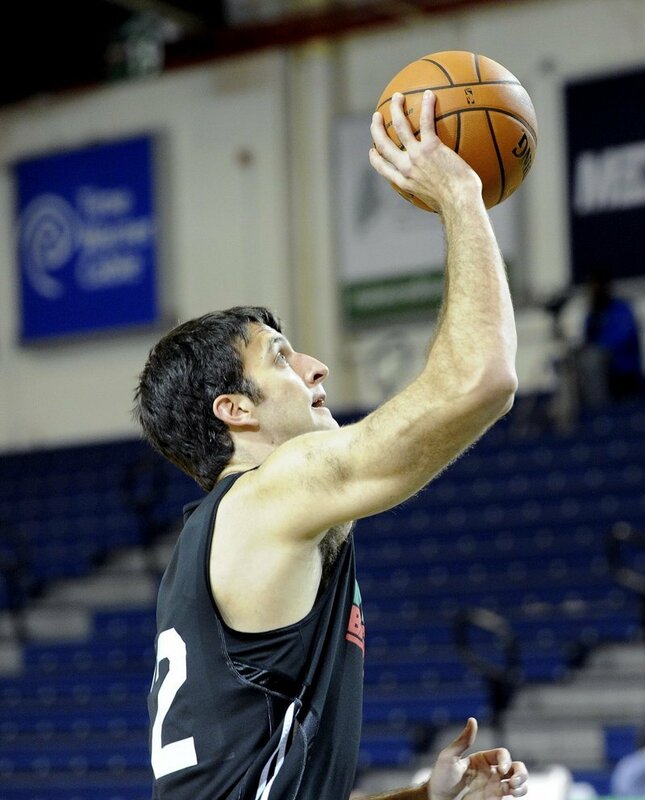 Cusworth, 28, is one of the three centers on the Maine Red Claws, the NBA D-League affiliate of the Boston Celtics. He still hopes to reach the NBA. This may be the most fun Cusworth has had in two years. One game into the 2010-2011 season in Spain, Cusworth ruptured a tendon in his ankle. Surgeries and two years of rehab followed. Despite the layoff, the Celtics were interested in Cusworth. He was to be invited to preseason camp in September, but a slight stress fracture in his left foot kept Cusworth from attending. 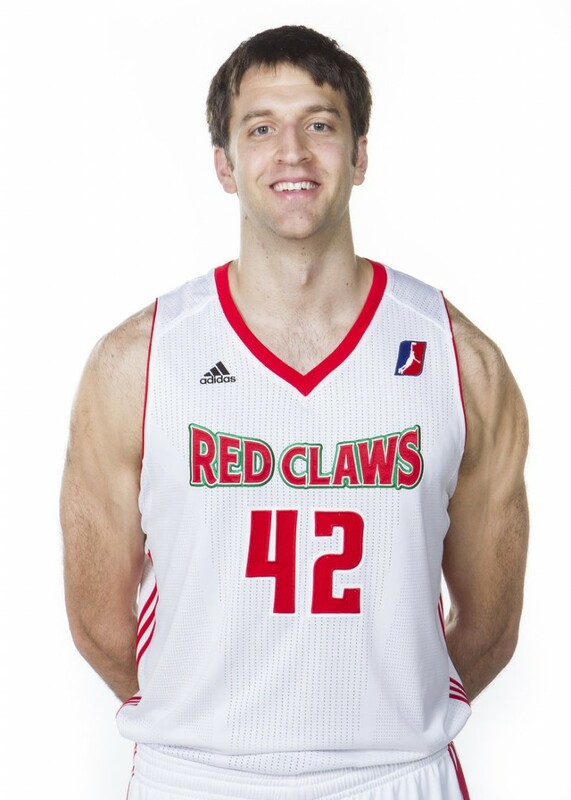 Instead, he was assigned to the Red Claws. That’s how much Cusworth loves to play basketball. He could have begun to put that Harvard degree to use. Instead, with patience and perseverance, he worked and rehabbed and got back into shape — to play minor league basketball. Like most of his teammates, Cusworth could make more money playing in Europe, but this league and its affiliations with NBA teams is quite a lure. Cusworth graduated from Harvard midway through the 2006-07 basketball season (we’ll get to that story a little later). From there he played in the NBA Summer League, then took off to play in Europe until the ankle injury in 2010, and in the NBA Summer League during most summers. “It’s great to have that experience,” Cusworth said. “That, coupled with the success I’ve had overseas, made me think I’m on the cusp of breaking in (to the NBA). The abbreviated version: Cusworth suffered a stress fracture in his right foot his sophomore year (2003-04). He wanted to redshirt — a common practice among injured college athletes to sit out the season and be able to play a fifth year. But Harvard has a policy of not allowing students more than eight semesters to obtain their degrees. Cusworth could not have a fifth year. He withdrew from school before the second semester of his sophomore year. When he returned in the fall of 2004, he had five semesters left. He played two full seasons and half of the 2006-07 season (that 2006-07 team featured a freshman guard named Jeremy Lin, by the way). Cusworth graduated in January 2007 and had to leave the team. He went back home to St. Louis and worked out, preparing to become a pro. Eventually, Cusworth will stop playing, whether because of ability or age. Then medicine? Cusworth knows the routine. His parents, Robert Cusworth and Michaele Penkoske, are doctors, and his girlfriend, Sarah Jarrett, is in medical school in St. Louis. For the moment, Cusworth doesn’t have to think about it. Two subjects fill his mind and make him smile — basketball and Sarah, who became Cusworth’s fiance last month. The wedding is scheduled for 2014. Brian Cusworth already has proven that he’s a patient man.